President Donald Trump speaking Wednesday just outside Harrisburg. 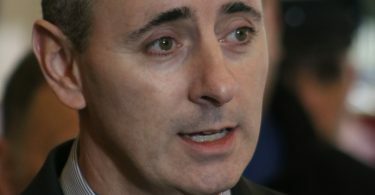 Congressman Brian Fitzpatrick was among a group of legislators this week who introduced a bill to amend the Constitution to add congressional term limits. 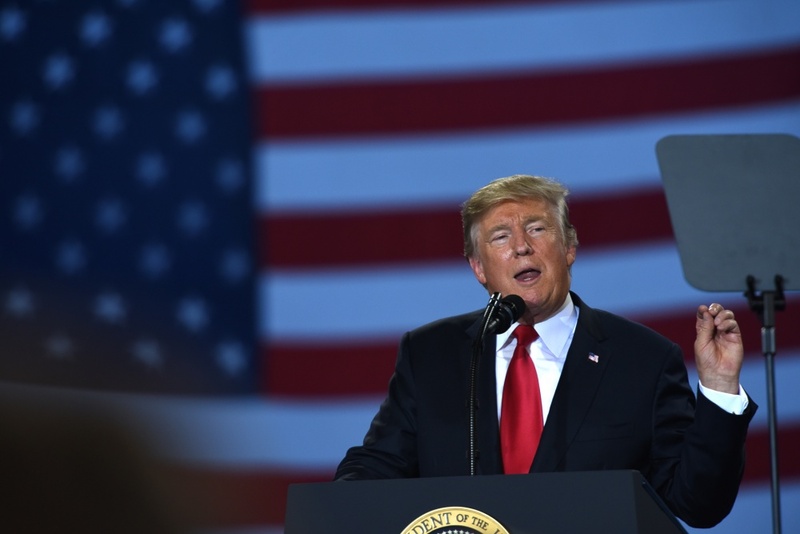 The legislation follows a meeting last month between President Donald Trump and a group of lawmakers to discuss term limits. Fitzpatrick, a Republican from Middletown, led the discussion with the president. At the time, Fitzpatrick said the president was supportive of the lawmaker’s proposal. A few days after, Trump tweeted his “full support” for term limits. The legislation introduced this week would limit terms for members of Congress to 12 years for both chambers. That equals out to two six-year terms in the Senate and six two-year terms in the House of Representatives. The term limits would only apply to members of the current Congress and sessions seated in the future. Congressmen Mike Gallagher, a Republican from Wisconsin; Ro Khanna, a Democrat from California and a Bucks County native; Jodey Arrington, a Republican from Texas; and Vicente Gonzalez, a Democrat from Texas, all introduced the term limits legislation this week. A constitutional amendment requires two-thirds support in both houses of Congress and three-fourths of state legislatures. “Enacting term limits would give new, energetic voices more opportunities to pursue public service. It’s time to end the status quo of career politicians. Being a member of Congress should not be a lifetime career,” Khanna said. A 2016 Rasmussen poll found 74 percent of likely voters were in favor of term limits for Congress, and an early 2018 poll by McLaughlin and Associates found 82 percent of Americans in support of term limits. Fitzpatrick has consistently pushed for term limits and other legislation that would hold pay for Congress if there is no budget, require a balanced budget, require single-issue legislation, move congressional redistricting to non-partisan commissions, and end congressional pensions for life.